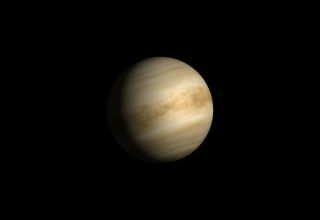 Venus is now an "evening star" setting just after the sun. Summer planets, constellations and a late-month meteor shower should combine to make July a skywatching treat, weather permitting. The Delta Aquarid meteor shower graces the night sky at the end of July, and during the month, the constellations Scorpius and Sagittarius shine, pointing the way to other celestial sights. "The Scorpion is easy to trace in the sky," Nancy Calo from the Space Telescope Science Institute said during her narration of a video highlighting July stargazing. "Its head, curved tail, and venomous stinger are prominent." Weather permitting, stargazers with small telescopes will be able to see the M4 globular cluster of stars in Scorpius to the right of Antares, Calo added. The constellation Sagittarius can be spotted by locating a group of stars called the Teapot. In dark areas, it looks like the Milky Way is rising from the spout of the kettle. Saturn and Venus start off the month as evening planets. Venus will appear low in the west at twilight, while Saturn rises as the sky darkens. A well aimed telescope will allow stargazers to see the planet's rings. The moon and Saturn will be in the same part of the sky on July 15 and 16, and Saturn's third largest moon Iapetus can also be seen this month. Earth is well positioned to be seen from Saturn in July as well. The Cassini spacecraft, in orbit around the ringed wonder, will take a photo of Earth from Saturn on July 19. Earth will be placed past the planet's rings as the spacecraft snaps a photo of Earth in the background. Venus and Saturn aren't the only planets visible in the July sky. Mars and Jupiter can be seen in the east, above the horizon, but it will be easier to see both of them as they appear higher in the sky later in the month. Pluto is directly opposite the sun or at opposition today (July 1), although the dwarf planet is hard to spot. Only a large telescope can detect it against the backdrop of the bright stars of the Milky Way. Some deep-space objects in Sagittarius' region of the sky can be seen with binoculars and the naked eye this month. The M22 globular cluster is about 10,000 light-years from Earth and can be seen without binoculars or a telescope. The Omega, Lagoon and Trifid nebulas all shine brightly through binoculars in July, although the hottest stars in the Omega Nebula are obscured by gas and dust. The young stars in the Lagoon Nebula make the gas and dust in the nebula shine brilliantly. "In the three-lobed Trifid Nebula, dark dust lanes appear etched against the radiance of glowing gas," Calo said. The online Slooh Space Camera will host a webcast featuring views of the supernova 2013df tomorrow (July 2) at 7 p.m. EDT (2300 GMT). The supernova was discovered in June, erupting in the spiral galaxy NGC 4414. You can watch the supernova webcast on SPACE.com or directly through Slooh (http://www.events.slooh.com). Slooh will broadcast live shots from an observatory in the Canary Islands, but the supernova is also visible with an 8 inch (20 centimeter) or larger backyard telescope in the night sky. The Delta Aquarid meteor shower is expected to peak from July 28 to 29, but the moon could make it difficult to see many meteors this year. "Watch for meteors radiating from the southeast after midnight," Calo said. "Skywatchers could see up to 20 yellowish meteors per hour, although moonlight will make it difficult to see faint meteors." Although scientists aren't exactly sure which comet's trail of dust and debris gives rise to the Delta Aquarids each year, they think that the meteor shower is created when the Earth passes through the trail left by a Comet 96P/Machholz, spotted by amateur astronomer Don Machholz in 1986. So between the constellations, planets and meteor shower, there's no shortage of stargazing targets to seek out in July. Good luck and clear skies!